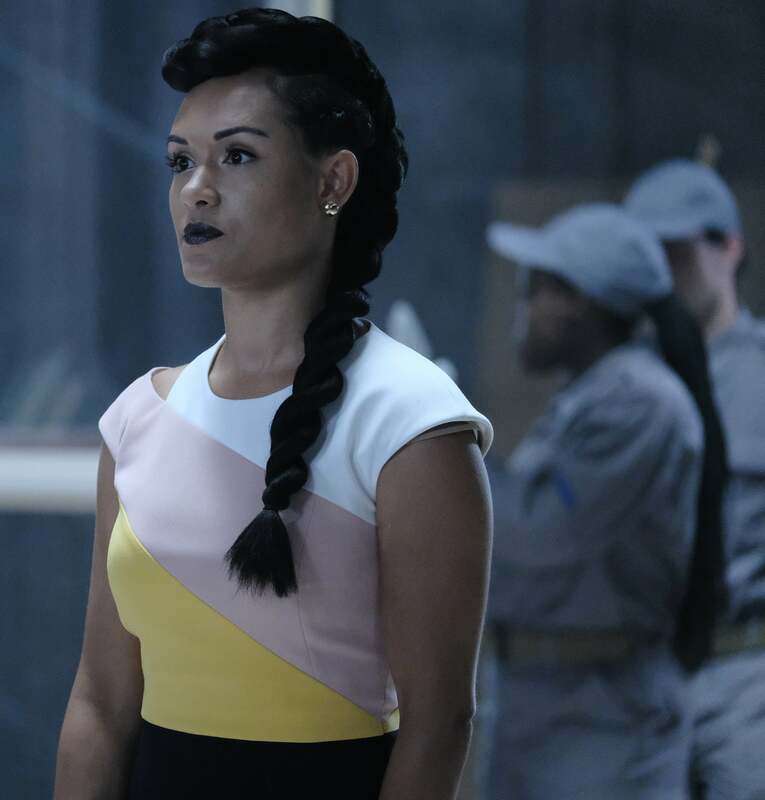 A familiar face could make an appearance in Wonder Woman 1984. There’s more rumours about the villains of Spider-Man: Far From Home. Karl Urban hypes up the hypothetical Quentin Tarantino Star Trek. Plus, It: Chapter 2 set photos recreate an iconic moment from the book, and a look at The Gifted’s return. To me, my spoilers! Continuing a trend, according to Net-A-Porter, Robin Wright is slated to reprise her role as Antiope for a flashback scene in Wonder Woman 1984. MCU Cosmic reports one of the film’s tie-in LEGO sets will include a Molten Man minifigure, possibly indicating the old school Spidey villain is slated to make a cameo alongside Hydro-Man in Spider-Man: Far From Home. That Hashtag Show has word Marc Maron is set to play “the longtime producer of [Robert] De Niro’s talk show host character” in the mysterious Joker solo film. Speaking with USA Today, John Cho stated knows “very little” about the fourth Star Trek movie. Elsewhere, Karl Urban revealed Quentin Tarantino’s “bananas” idea for a Star Trek movie will need an R-rating to properly depict “the horror of space”. Quentin Tarantino went in to J.J. [Abrams]’s offices and pitched him an idea for a Star Trek movie. I know a little bit about what that is and it’s bananas... You shouldn’t worry that it is going to be full of obscenity and stuff. He wants an R-rating to really make those beats of consequence land. If it’s not PG, if someone gets sucked out into space, which we have all seen before, we might see them get disemboweled first… It allows some some breadth… gives him some leeway to do that. To me, that was always one of the things I loved about what DeForest Kelley did. He would actually capture the horror of space. That look in his eyes of sheer terror always struck me when I was a kid. A gore-soaked Jessica Chastain has wrapped filming on the It sequel. Meanwhile, Pennywise terrorises poor Richie from the shoulder of Derry’s Paul Bunyan statue in a new set photo ripped straight from the book. Billy Dee Williams shared footage of himself training for Lando Calrissian’s return in Star Wars: Episode IX. 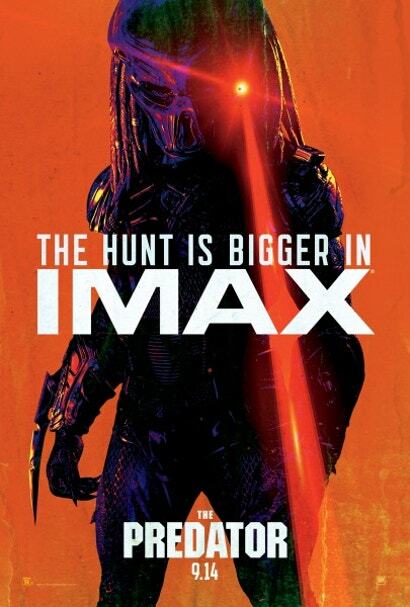 The Predator sets his sights on you on a new IMAX poster from Collider. A blinking, light-up standee can now be found in select cinemas. Co-director Rich Moore shared a photo on Twitter of Henry Jackman’s score recording. Likewise, Thom Yorke shared a clip from his Suspiria score on Twitter. A screaming nun takes a poor fellow aback in the latest TV spot. We also have a full seven minutes of behind-the-scenes footage. 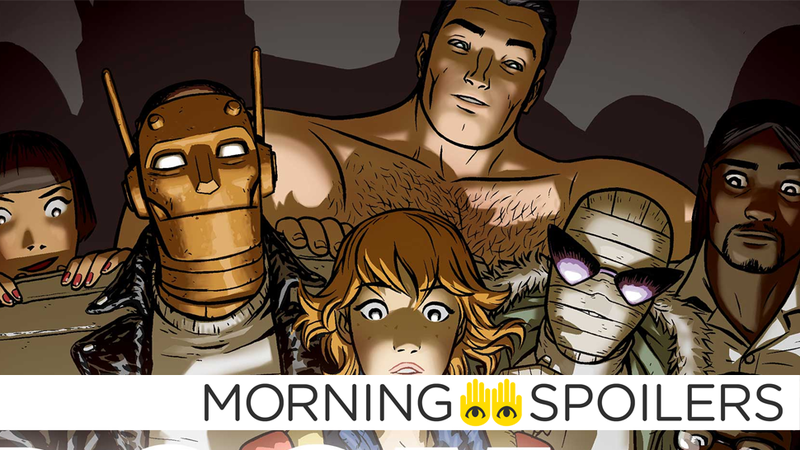 A quartet of amazing new set photos gives us our first looks at Robotman, Negative Man, Elasti-Girl and Crazy Jane. Deadline reports the Jim Henson Company is set to adapt Susan Dennard’s Witchlands novels for television. Set in its own fantasy world, the series concerns Safi (a Truthwitch) and Iseult (a Threadwitch), who find themselves in the middle of a struggle between three warring empires. Dennard will co-executive produce with Lisa Henson and Halle Stanford. Geoff Johns confirmed both S.T.R.I.P.E. and the Justice Society of America will appear in DC Universe’s Stargirl series. Much like, you know, Arrow reimagining Green Arrow or Smallville, I’m taking a brand new direction on Justice Society. It’ll be, I think, more closer to the lore. I wanted to kind of do a brand new reimagining of it for Stargirl. You can’t do Stargirl without S.T.R.I.P.E. Yeah, he’s in there. Episode five of the next season is titled “The Demon”, according to Spoiler TV. 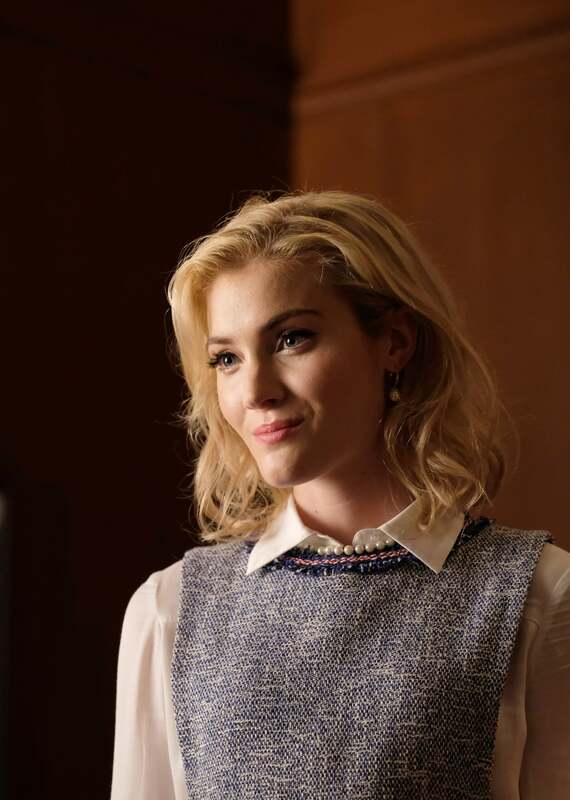 Meanwhile, episodes five, six and seven of Supergirl’s next season are titled, “Parallax”, “Call to Action”, and “Rather the Fallen Angel”, respectively. 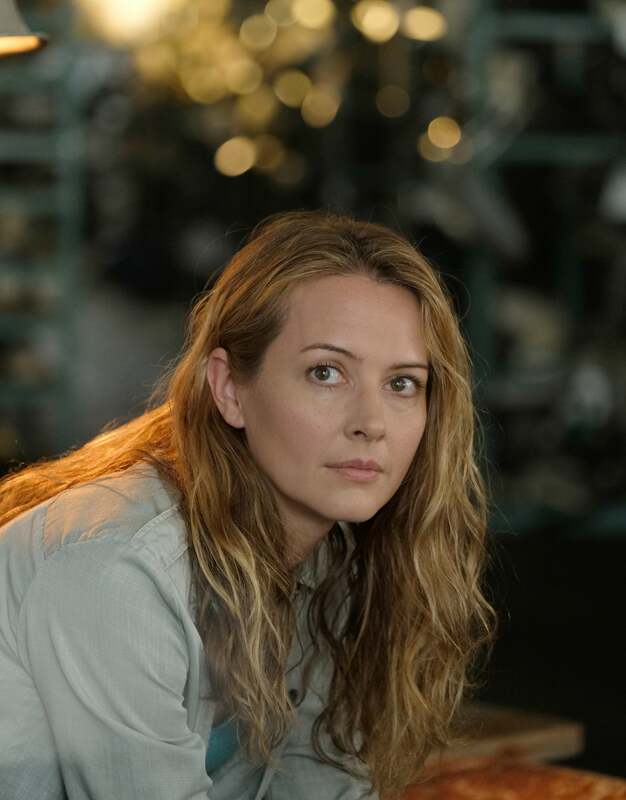 Spoiler TV also has the titles for episodes eight through 11 of Supernatural’s 14th season. E! 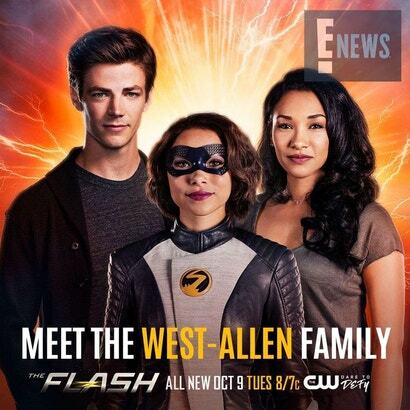 News has an awkward family portrait of the West-Allen family. 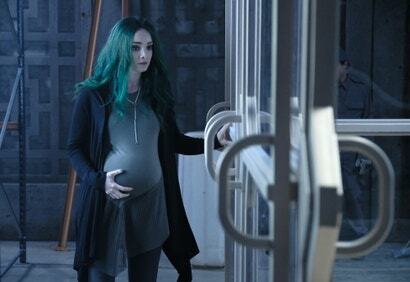 KSiteTV has images from the season two premiere of The Gifted, “eEmergence”. Click through for more. A promo for the third season of The Good Place includes no new footage, but a single shot of small bunny in an equally small bucket. Don’t complain about it, that’s a one-way ticket to the bad place. Finally, date night leads to a corny joke about potatoes in the trailer for next week’s episode of Wynonna Warp, “Waiting Forever For You”.